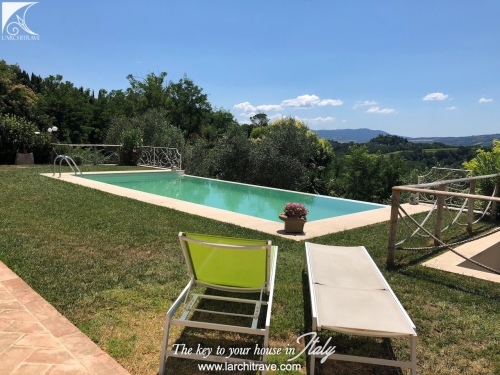 CASA NICOLAS • Beautifully restored portion of a Tuscan estate with a private garden and parking, a comunal panoramic comunal swimming pool and gardens. 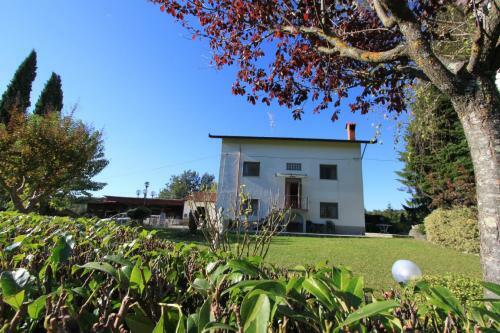 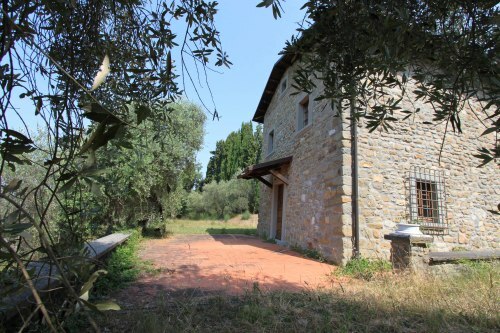 Set in an ancient hamlet comprising 3 buildings: a 1700`s Villa, Frantoio (olive press) and Granaio (barn), and comprises in total 14 units. 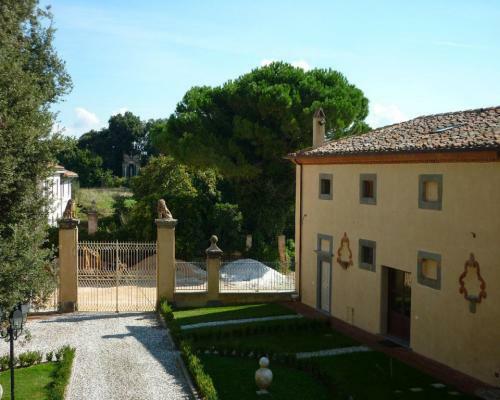 CASA NICOLAS • This unit of 170 sqm has been carefully refurbished by expert local builders in keeping with the traditional Tuscan style. 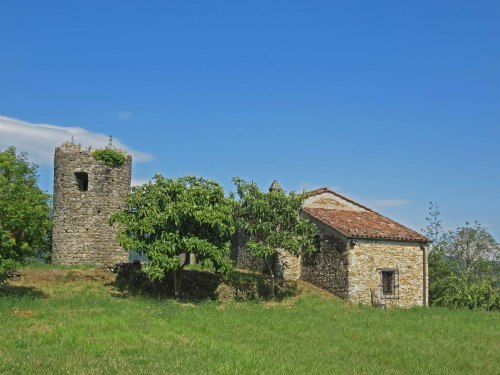 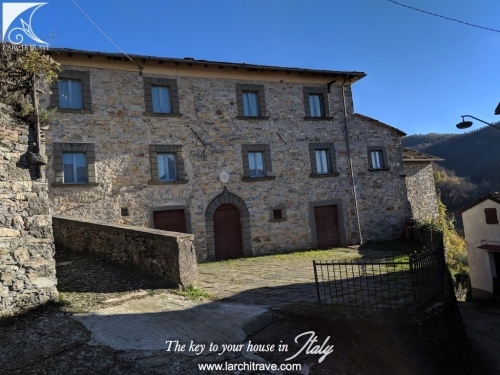 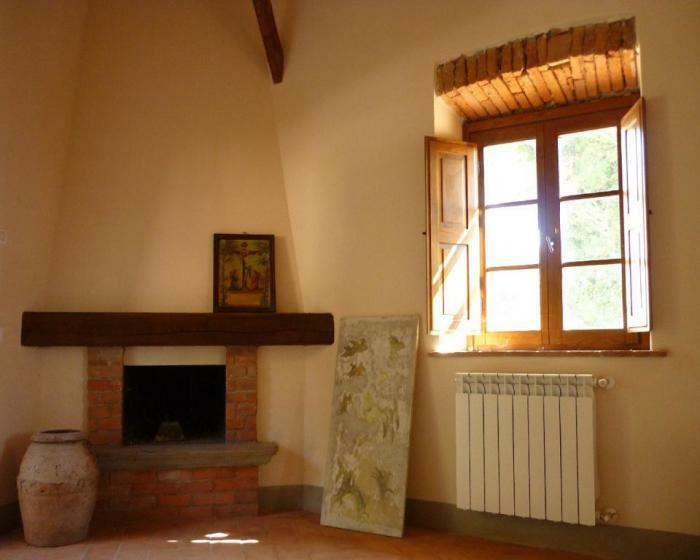 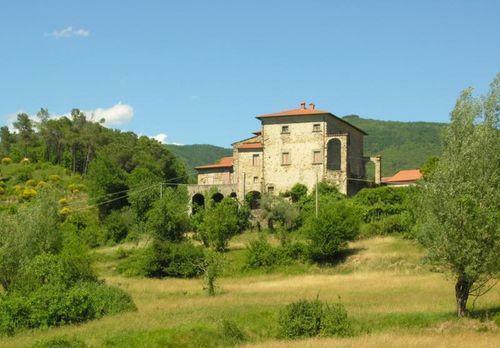 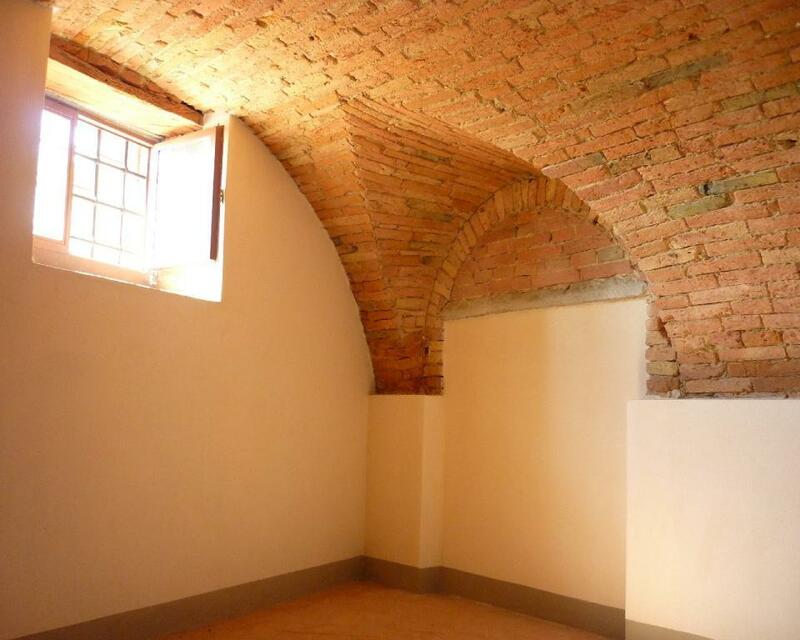 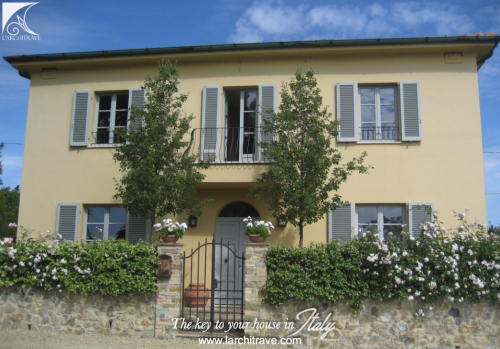 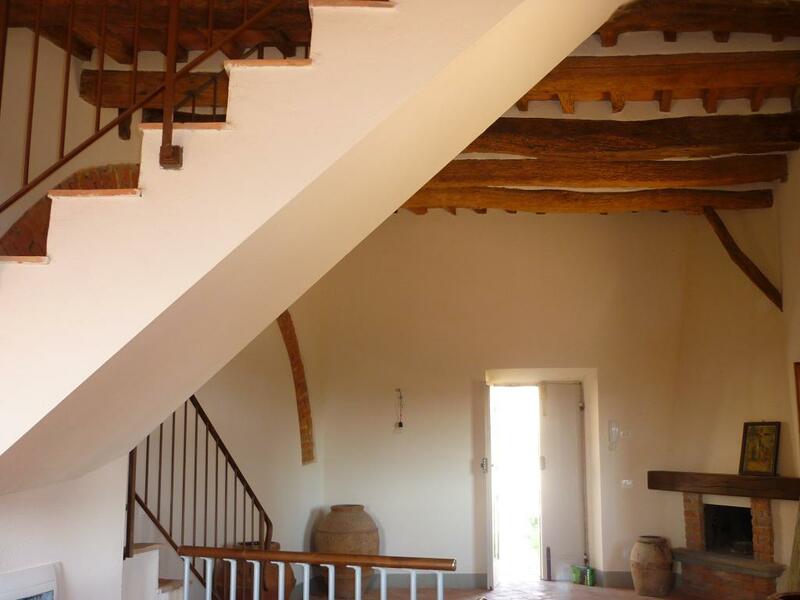 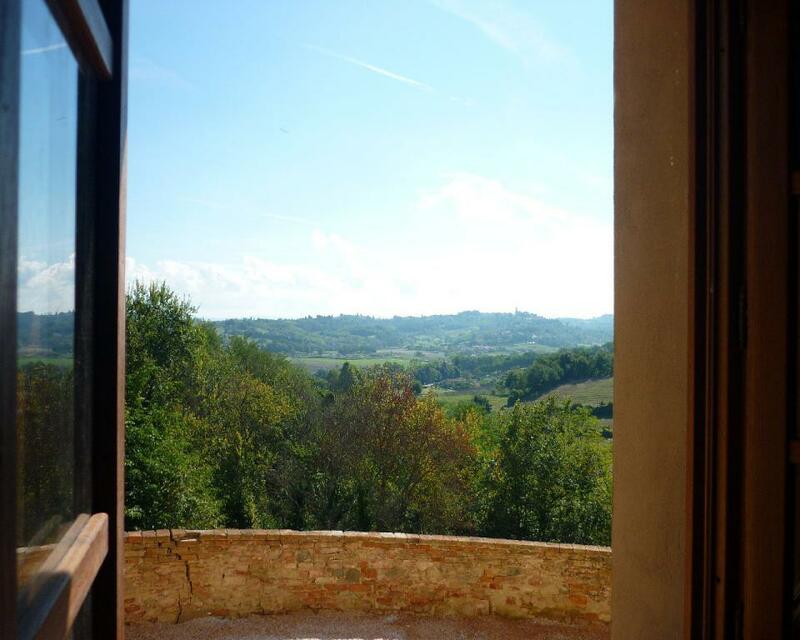 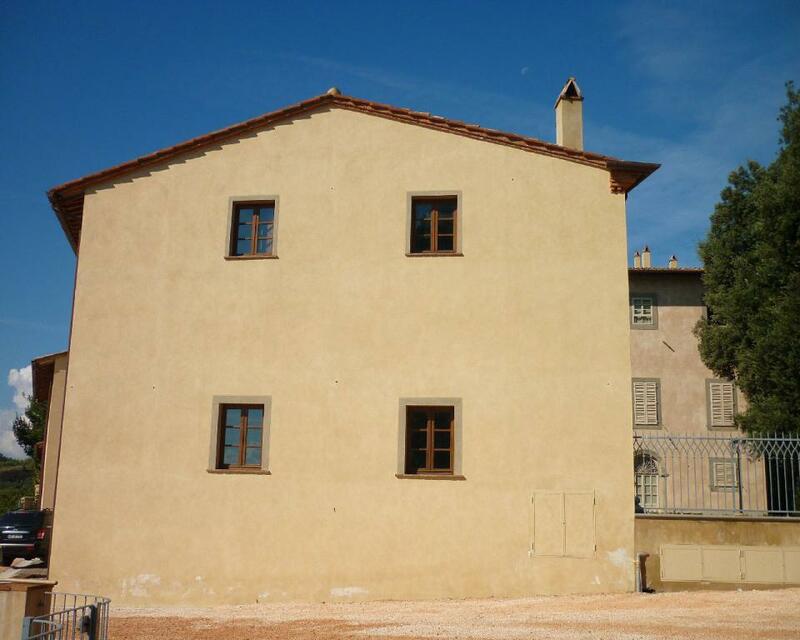 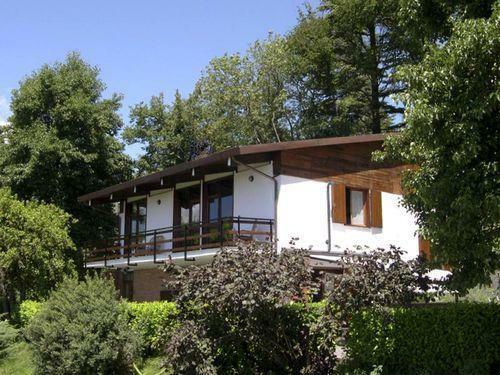 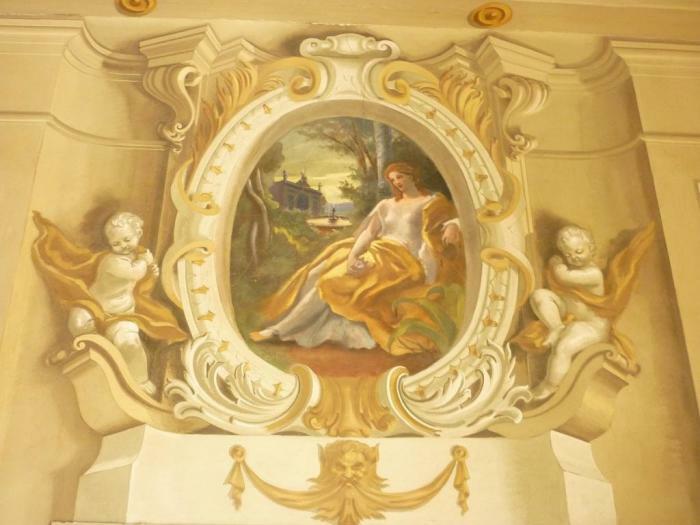 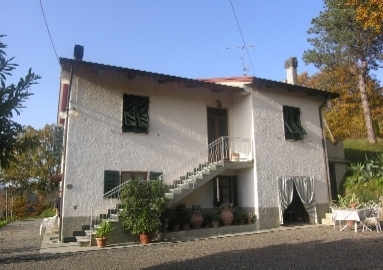 The unit is situated in the Granaio (barn - Granaio n.1) and is on 3 floors; and is south west facing. 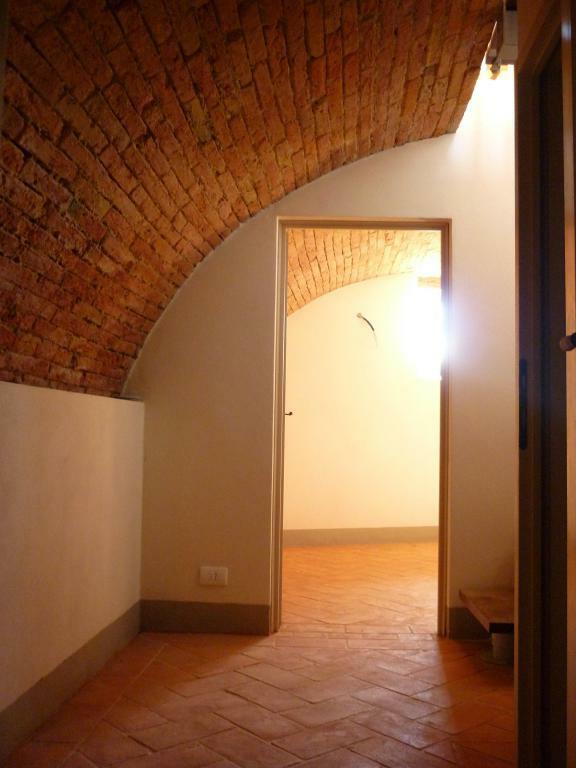 The entrance is though a private garden with doors into the living area. 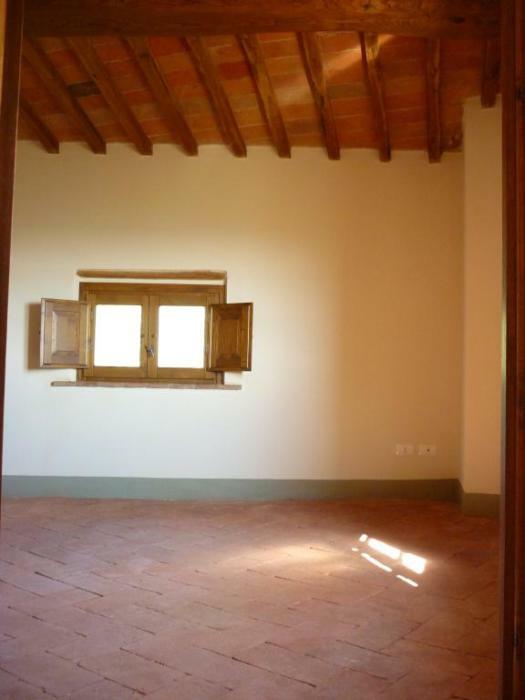 On the same floor there is a kitchen with dining area. 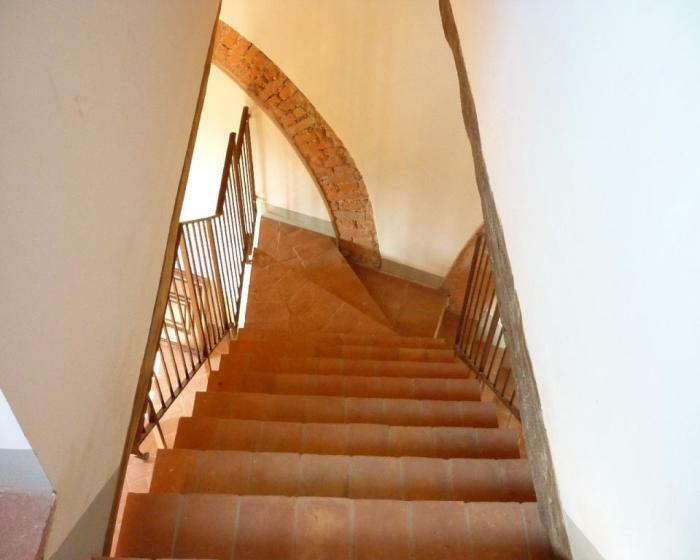 Stone stairs lead to the first floor bedroom area with 2 bedrooms and 2 marble tiled bathrooms. 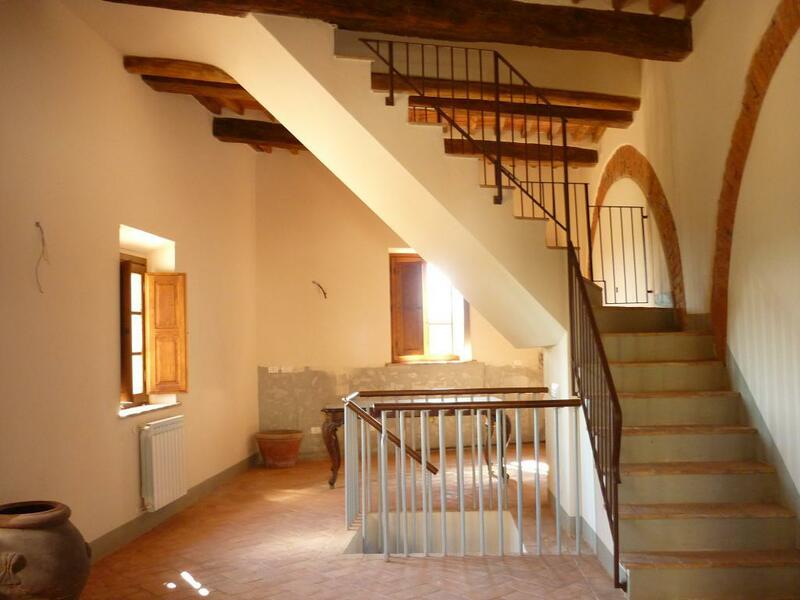 A spiral staircase leads from the ground floor to the lower ground floor and this level has a marble tiled bathroom and two vaulted ceiling rooms. The garden is bordered with a hedge to provide privacy and overlooks the chapel. The unit has been completed to a high specification with original cotto flooring, wood beam ceilings and cotto tiles and vaulted ceilings. 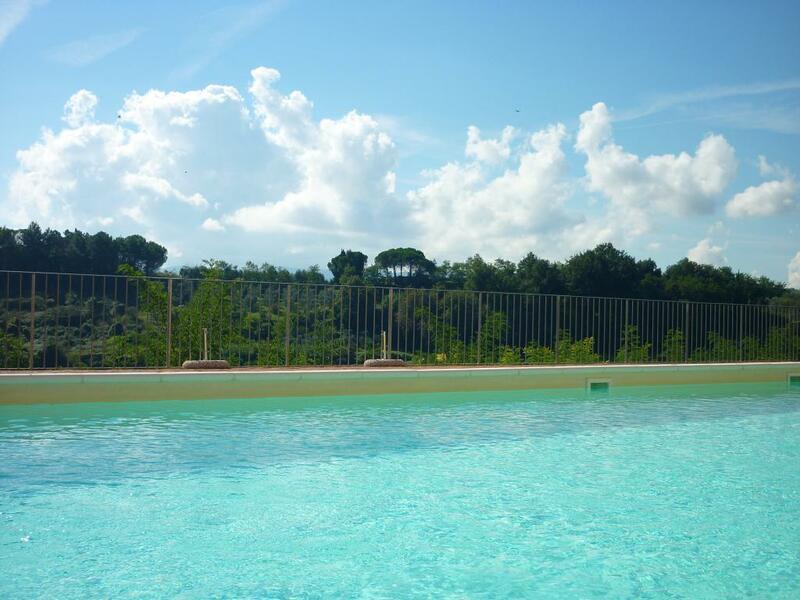 Travertine marble for the bathrooms. 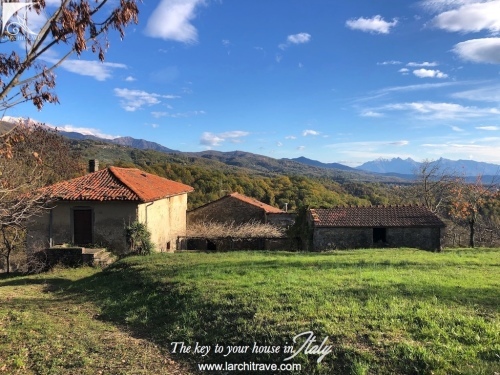 The beautiful estate is situated at the edge of the quiet village of Cevoli with magnificent views of the valley of Lari famous for its cherry orchards. 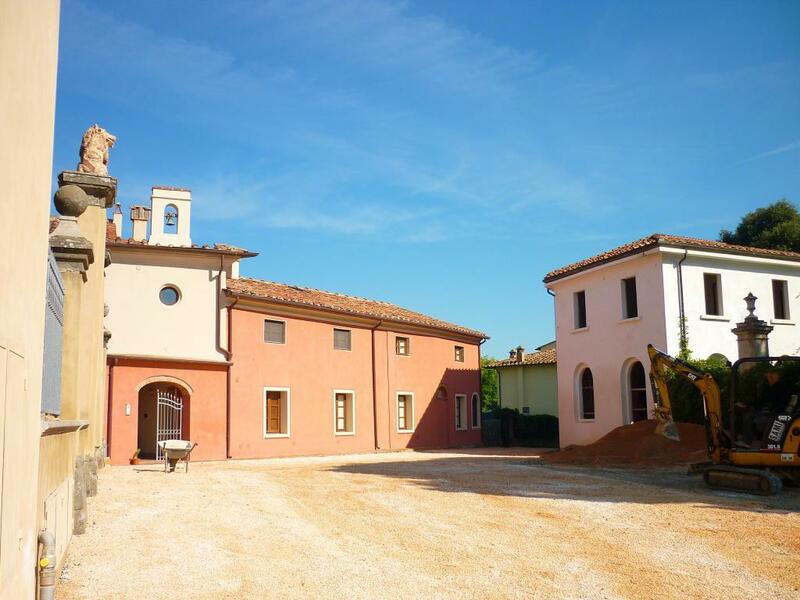 It is ideally located just 25 km of Pisa airport and situated between the ancient spa town of Casciana Terme and boutique town of Pontedera. 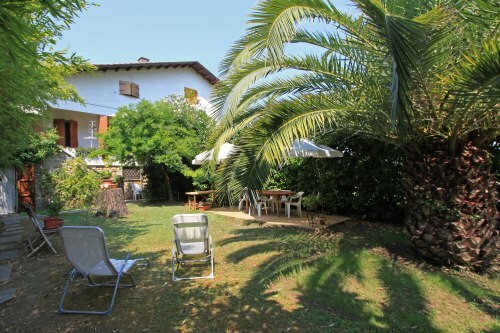 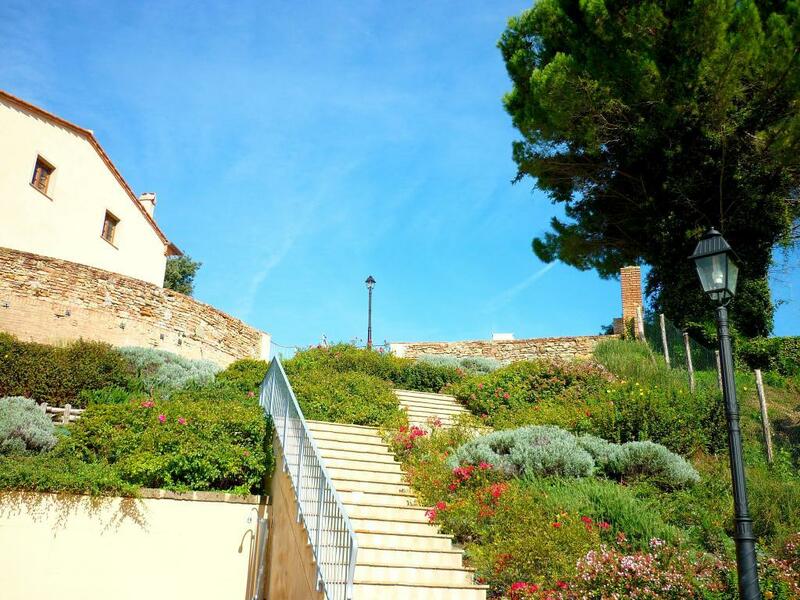 Set in the centre of the village, therefore walking distance to the shops and cafes.